Big news! We're excited to celebrate our next chapter of growth with a new corporate brand identity and redesigned logo. 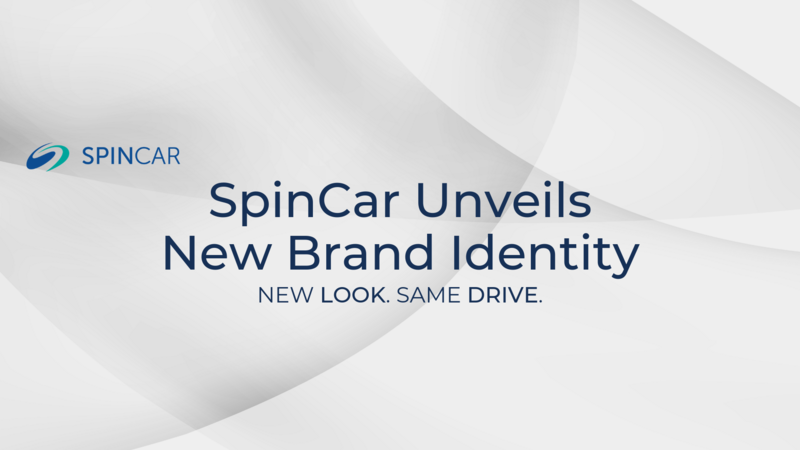 Our new brand identity builds on SpinCar's heritage as an innovator in digital automotive merchandising, while reflecting the evolution and growth of the company since its inception. A lot has happened since 2014 when Planet Honda became the first dealership to use SpinCar's interactive 360º WalkArounds®. In July of 2016, we introduced VINtelligent Retargeting®, the industry's most effective and personalized digital ads. The following year, we expanded outside of the United States and partnered with industry leaders including Kijiji, eBay Canada's largest classifieds site, integrating our product and reports within their website listings. In 2018, we added global partnerships in Australia and South America, and we won four industry awards for our technology, which included recognition for website and automotive merchandising. We've come out firing in 2019, launching a new product in January at NADA. Feature Tour® brings carefully crafted personalized videos, images and explainer content directly to consumers as they explore vehicles online. We also reached a huge milestone, delivering 200 million WalkArounds for car shoppers all around the world. And now, we're introducing a powerful new look and identity. Read the full press announcement we made today at the Digital Dealer 26 Conference in Orlando.